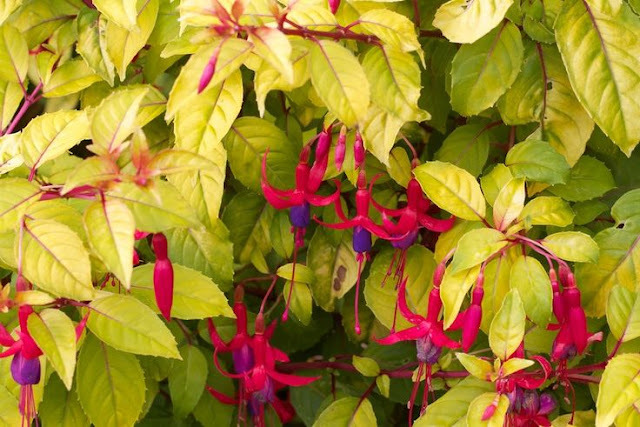 Fuchsia excorticata 'Genii' is a dwarf, upright, deciduous shrub with red shoots and attractive lime-yellow foliage. It is a popular, easy-to-grow garden plant suitable for both full sun and semi-shaded positions although the leaf colour will be at its best when grown in full sun. Under favourable conditions you can expect it to attain a height of approximately 60 - 90 cm, and with a spread of 30 - 60 cm over a period of 2 to 5 years. The simple, yet attractive blooms appear from June to September. They are smaller compared to other ornamental flowering Fuchsia cultivars, with a violet, turning reddish-purple corolla and cerise calyx. To encourage more flowers, remove any blooms as they begin to fade. It will grow in almost any moist, well-drained soil, however digging in a good amount of humus rich organic compost will pay dividends. When grown as a container plant, use a quality, well-drained compost such as John Innes No.3. Pinch out the growing tips of young specimens to promote bushier growth and more flowers. Apply a deep, dry mulch of bark chips around the base of the plant to protect the roots from freezing winter conditions cold. Avoid mounding the mulch up against the main stem. Prune stems back to just above ground level in the spring. 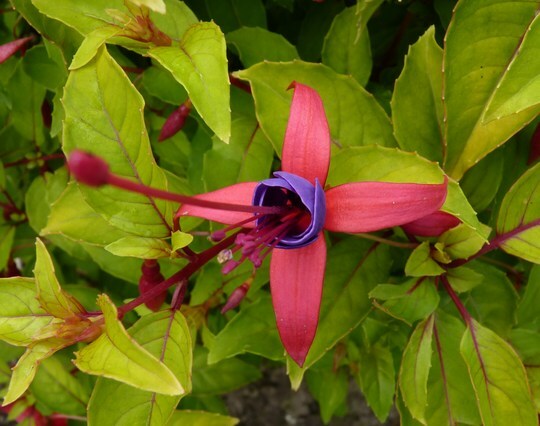 Fuchsia excorticata 'Genii' received the Award of garden 1993.